While I will be honest with you and tell you that kale chips by no means replace the flavor or texture of your standard potato chips, they are more satisfying than you’d think. They also require minimal labor and cost, and don’t have any added chemicals that you might find in the bagged version. Can you truly ask for a healthier snack than this? Let me know how yours turns out on Facebook, Twitter, or Instagram @coneysandkale! 2. Wash kale and dry thoroughly. Remove stems and rip leaves into small pieces. 3. 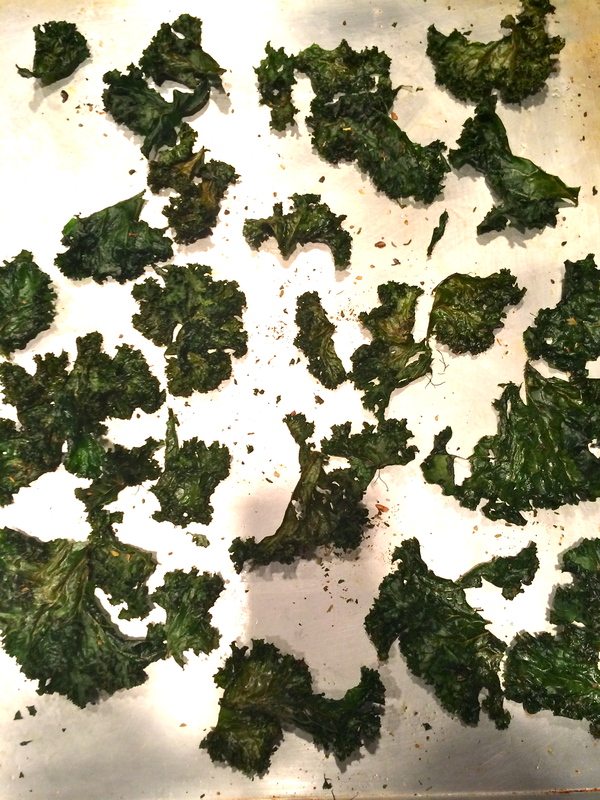 Line baking sheet with kale pieces (don’t put tooooo much on there, and spread ’em out). 4. 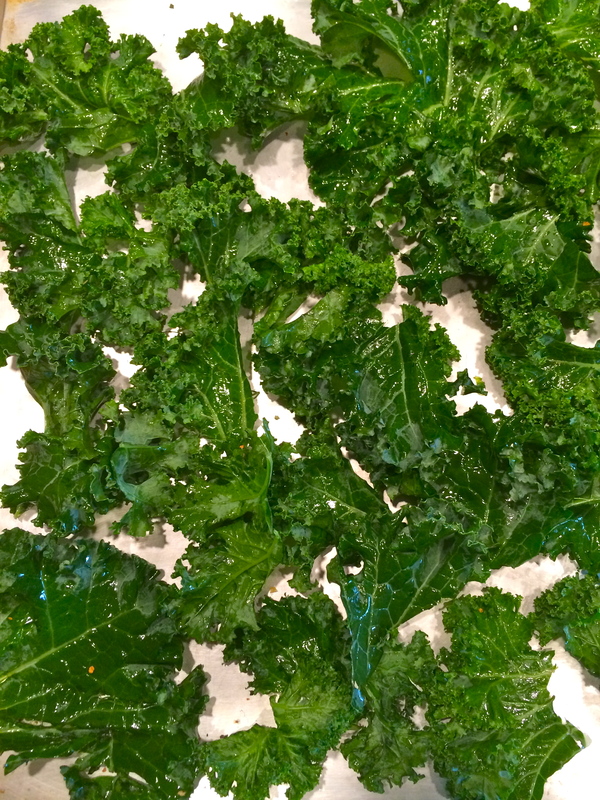 Coat kale with olive oil and seasonings (get your hands messy)! 5. Place kale in oven for about 20 minutes. Make sure to turn after 10 min. 6. Let cool for about 3 min., and then crunch away! Where are you eating this weekend?